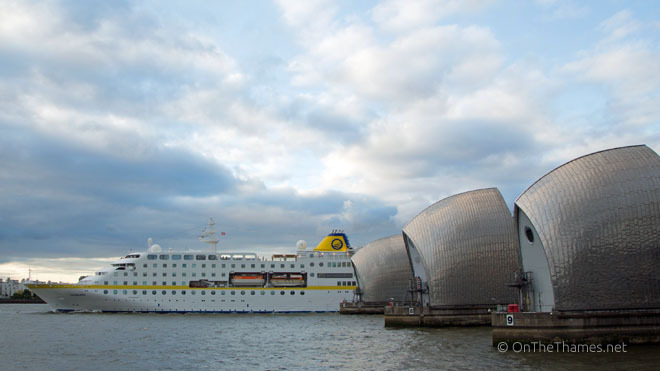 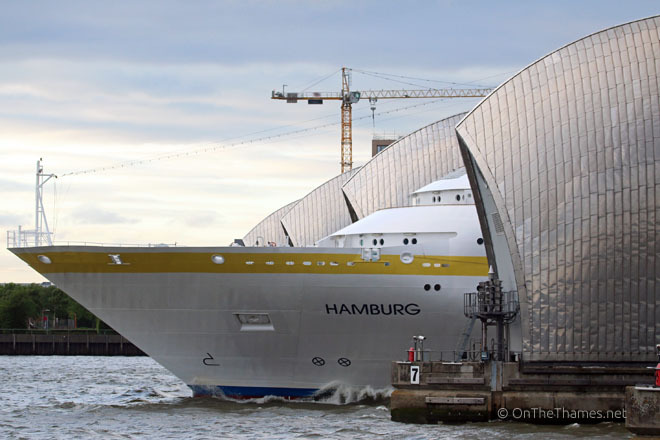 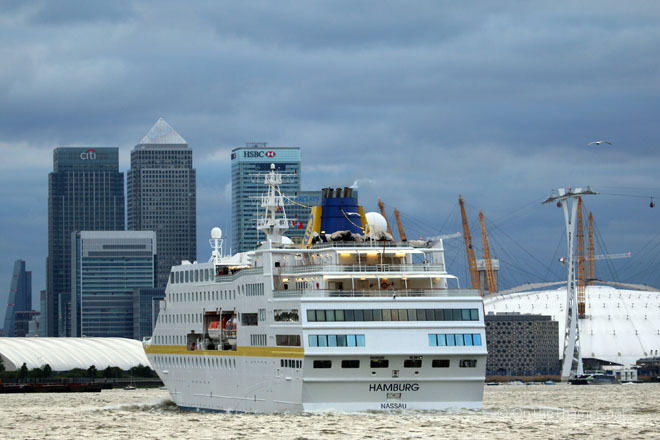 LONDON's 2014 cruise season got started last night with the arrival of HAMBURG. 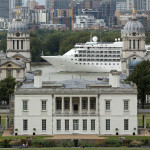 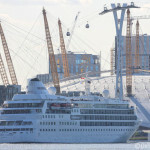 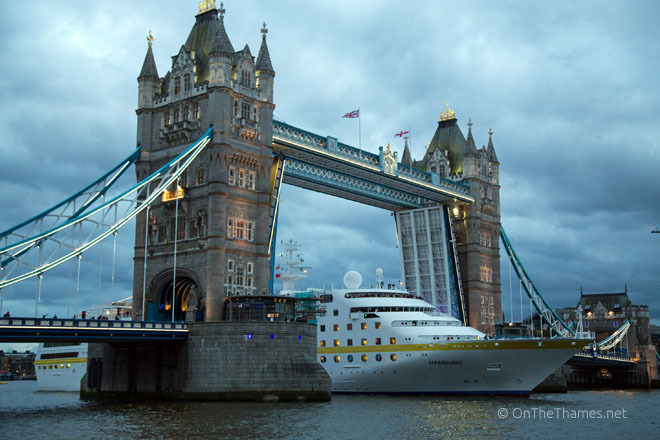 The 144-metre cruise ship passed through a raised Tower Bridge at 8.30pm and moored alongside HMS BELFAST. 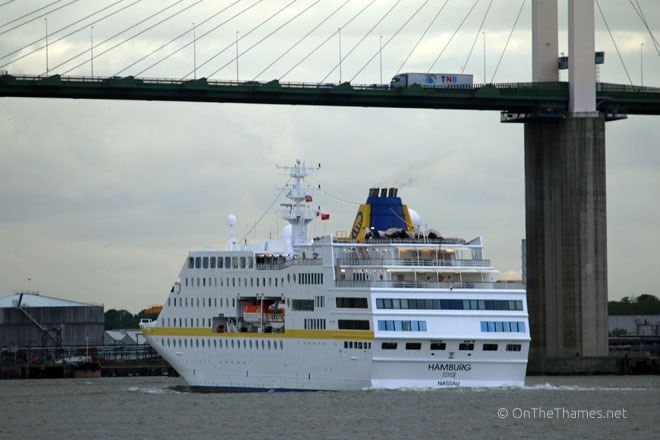 HAMBURG is operated by Plantours Kreuzfahrten and previously sailed under the name C. Columbus. 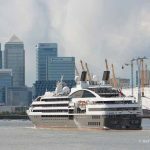 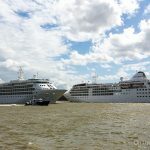 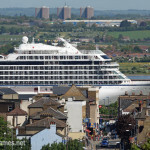 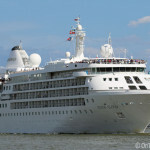 Other cruise ships due to visit London this year include SEADREAM 1, LE BOREAL, SEABOURN LEGEND, FTI BERLIN and SILVER CLOUD. 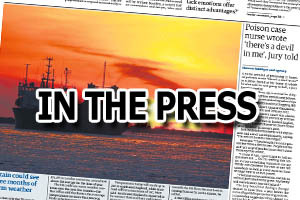 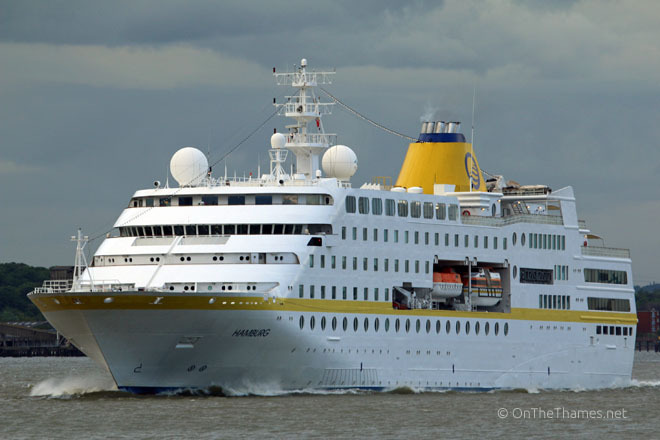 See more on the PLA's Cruise Ship Diary page. 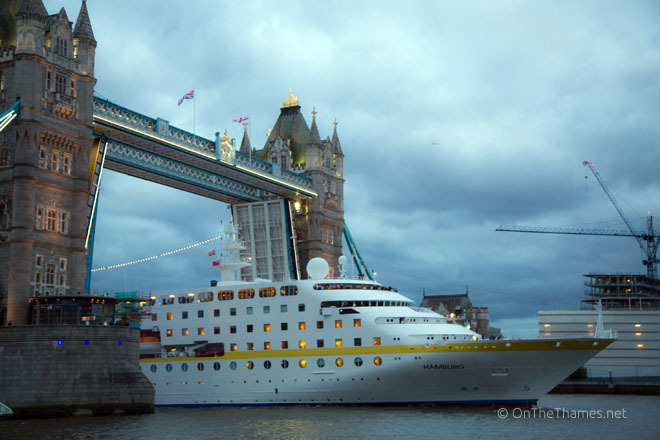 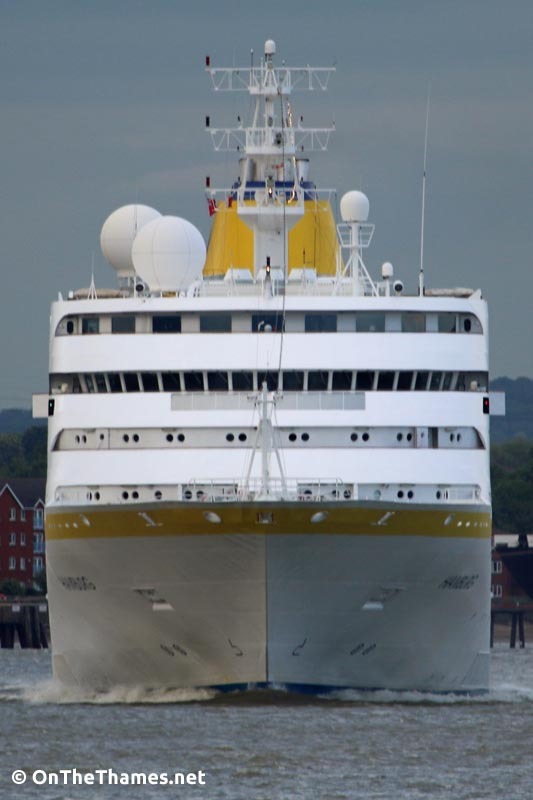 MV HAMBURG is due to depart tonight, passing under Tower Bridge outbound at 8.15pm.